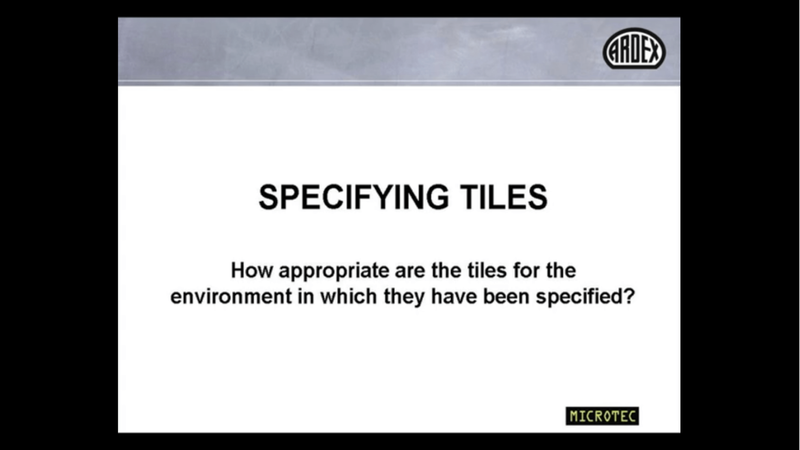 To view the relevant video, please click on the links below. 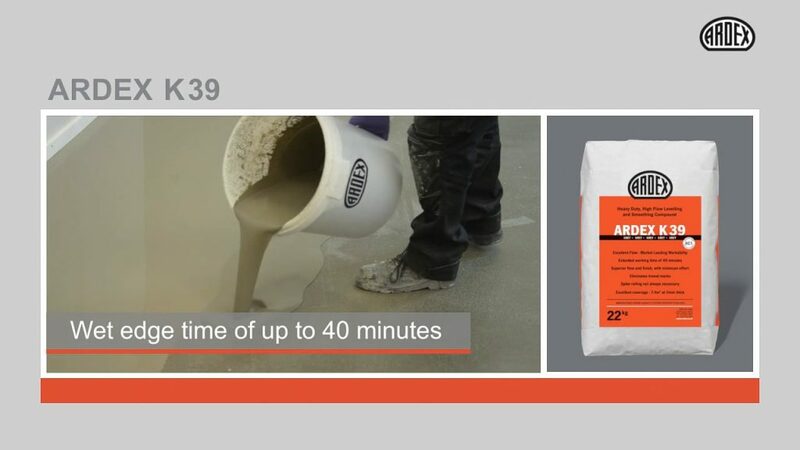 Learn how an extended 40 minute wet edge time can help you achieve smooth and level floor with ease. 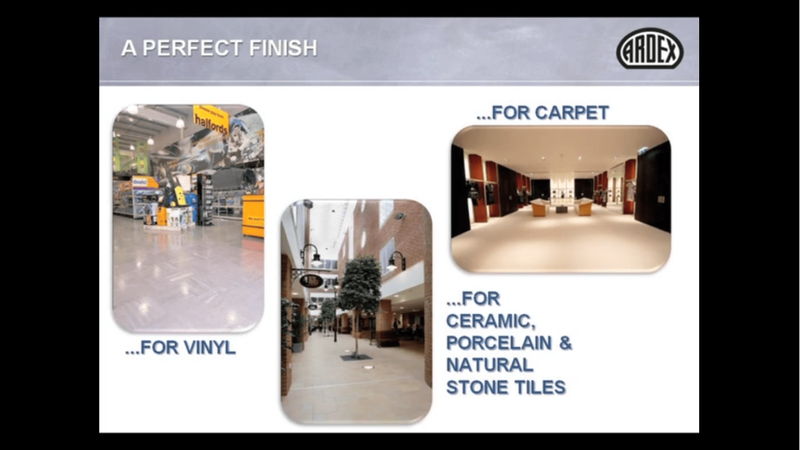 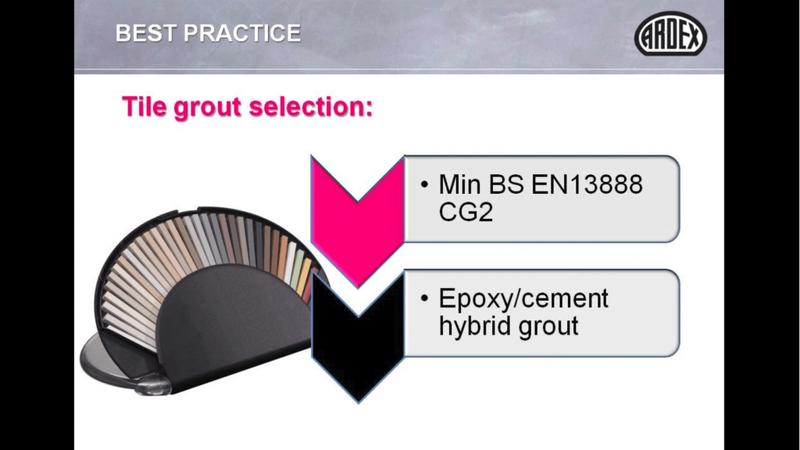 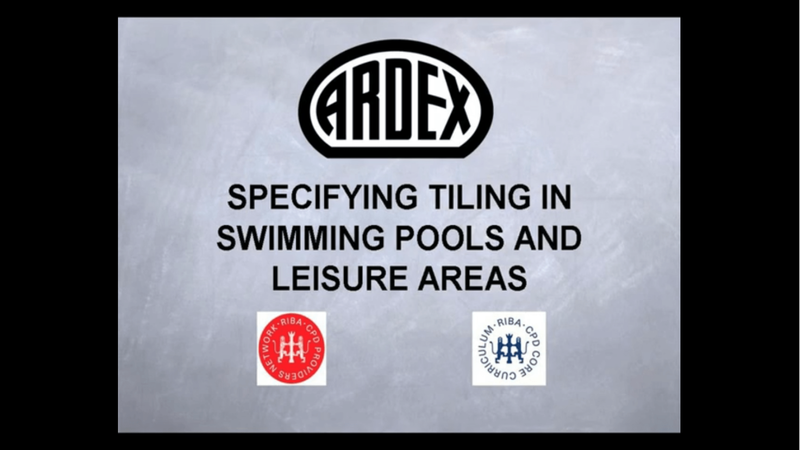 Learn how create a water-repellent, dirt resistant and streak-free finish with our range of flexible tile grouts. 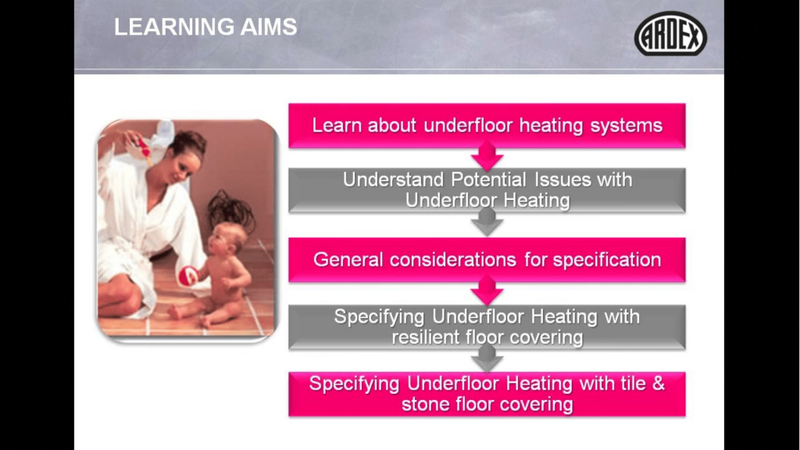 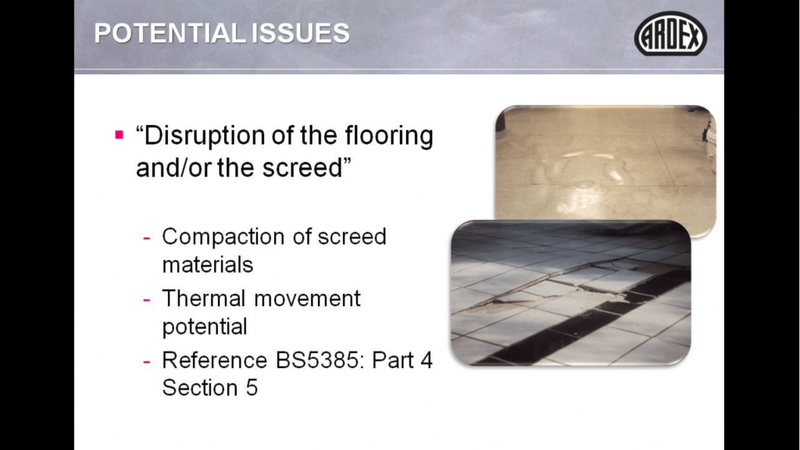 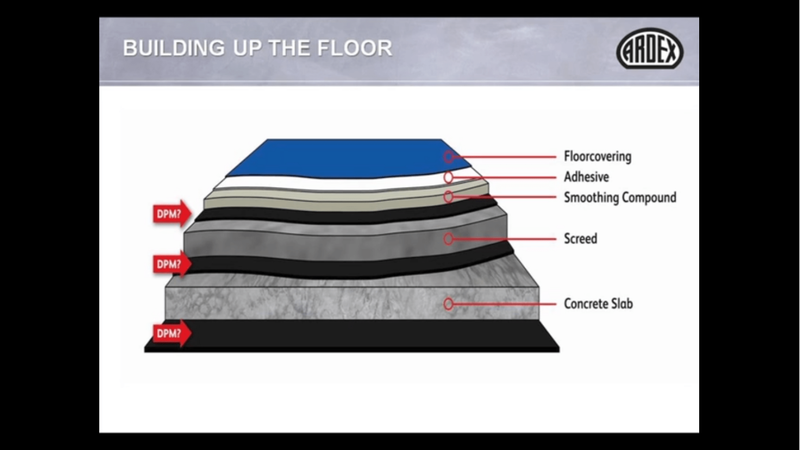 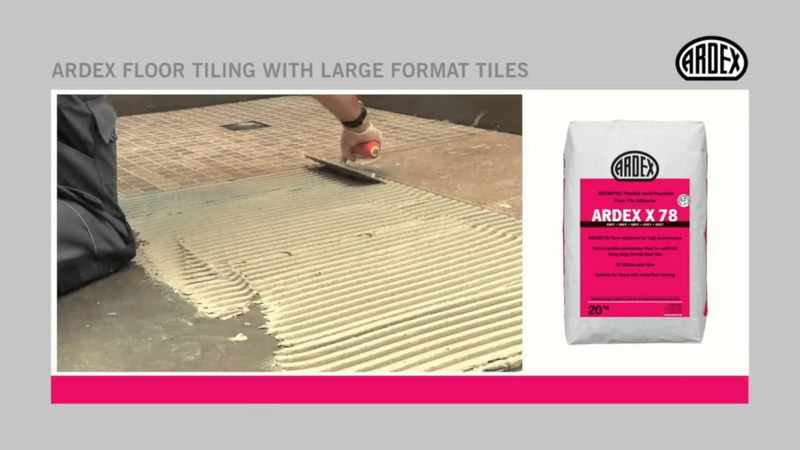 Learn how to easily achieve solid bed fixing when installing large format floor tiles. 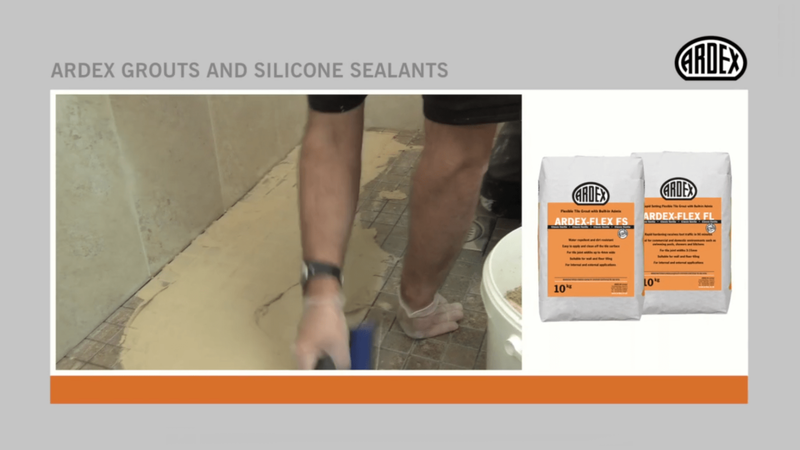 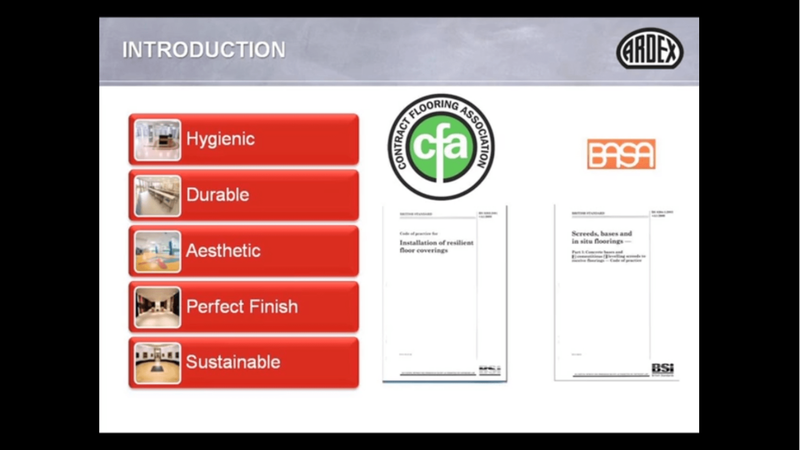 Learn how to eliminate the risks staining and warping when installing moisture-sensitive natural stone, with our unique range of RAPIDRY FORMULA Natural Stone Tile Adhesives. 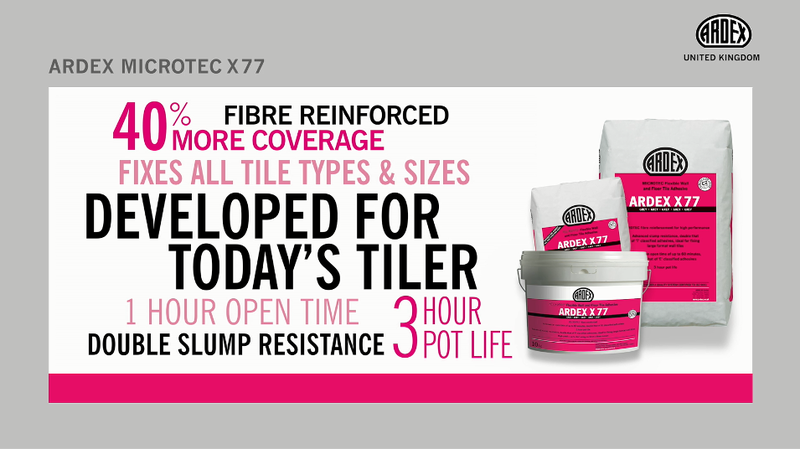 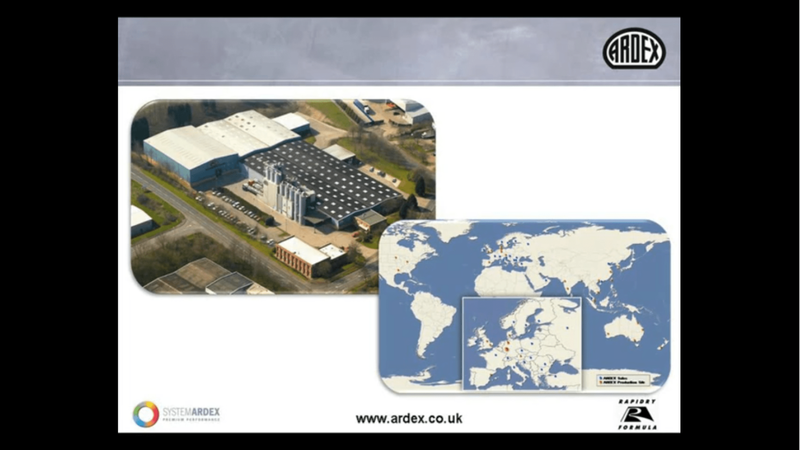 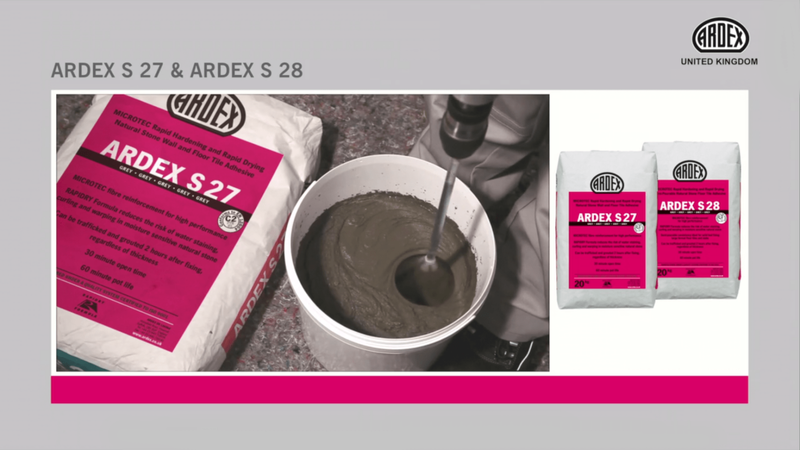 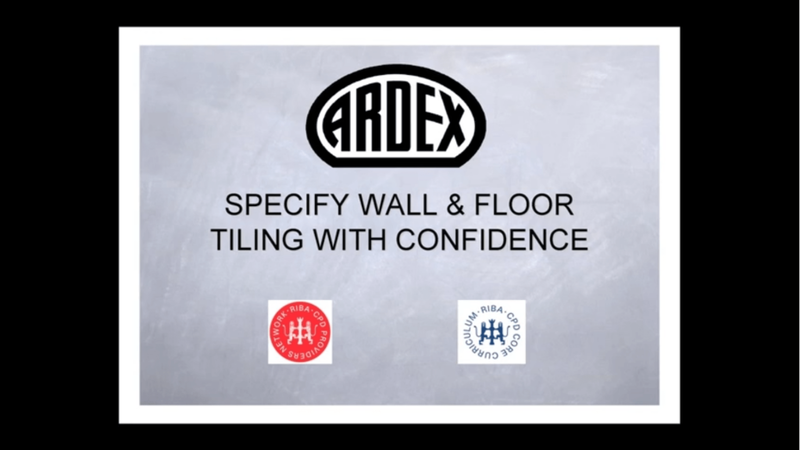 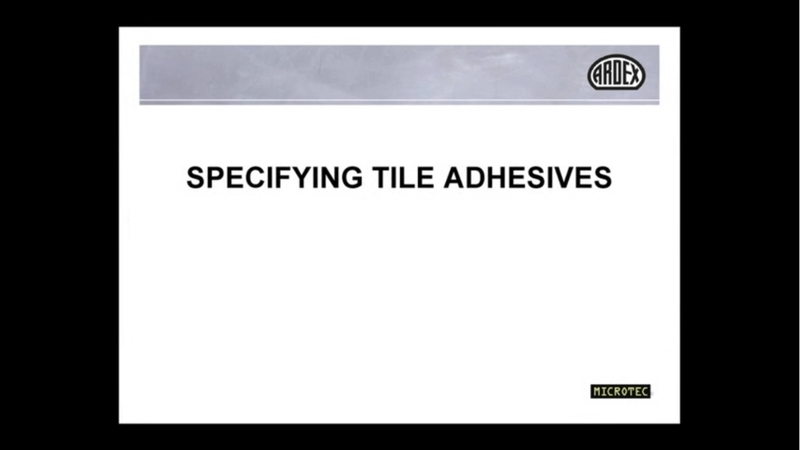 Learn how ARDEX MICROTEC X 77 provides up to 40% more coverage than leading competitors, and how its advanced technologies fix large format wall tiles without slipping and without the need for battens. 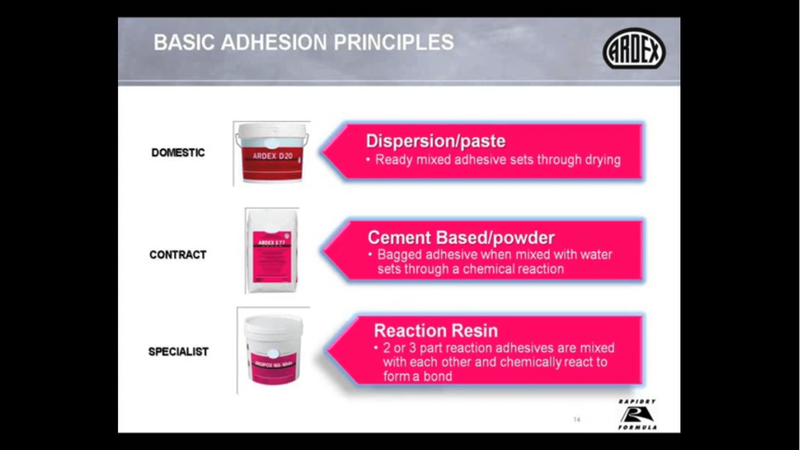 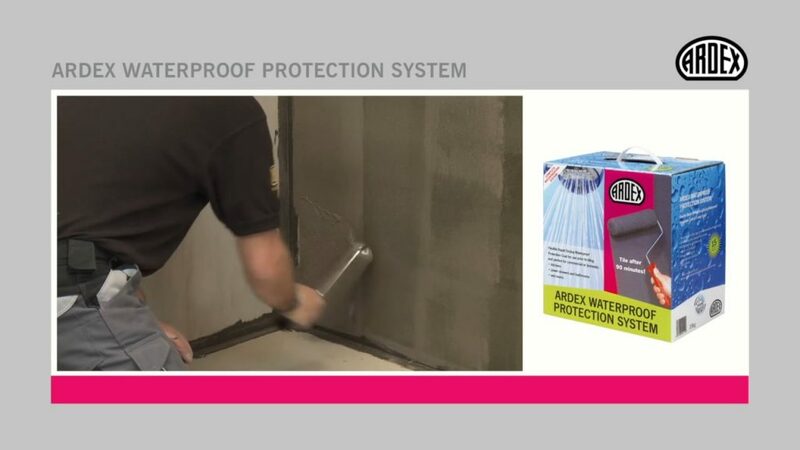 Learn how to quickly and easily create a protective waterproof coating that prevents costly water damage.